Home>Posts>GE celebrates 20 years in Poland. GE celebrates 20 years in Poland. 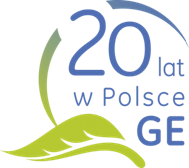 On Tuesday, October, 2nd GE celebrated 20 years of partnership with Poland at an event at the Copernicus Center in Warsaw. Among the guests who attended the celebratory event were, Ilona Antoniszyn-Klik, US Ambassador to Poland, Lee Feinstein, President and CEO of GE Europe, Ferdinando “Nani” Beccalli-Falco, Managing Director GE Engineering Design Center (EDC) in Poland, Magda Nizik. They were joined by over 250 other guests including representatives of government, GE customers, media and employees. The focus of the event was the development of the Polish economy with members of the Polish government presenting a clear vision for future growth and development with an emphasis on the important role of innovation and creativity. GE highlighted the importance of long term partnerships between the country and international companies and their role in driving economic growth, prosperity and innovation. GE is one of the most innovative companies in the world and one of the biggest international investors in Poland, employing some 10,000 across the country. Over the last 20 years GE has witnessed the transformation of Poland into a flourishing market economy and contributed to it significantly. GE has been not only an important local investor but also a partner that connects the Polish economy with the global markets. One example of this is the EDC in Warsaw, a great example of a partnership that has grown and developed in the last 12 years, exceeding the initial plans and expectations. In 2000, the EDC started with 5 engineers and today it employs more than 1.300 people working on designing aviation, oil and gas and energy technologies for global markets. Statistics outlined below demonstrate how GE works in Poland today. Philanthropic: GE Foundation Scholar Leaders university scholarship program has recognized 121 Polish future leaders among a total of 430 in the CEE region. GE has witnessed how CEE nations have gone through social, political and economic transformations since 1989 and today they are better positioned for change than the organically developed parts of Europe, that did not have a historical interruption. “Today we celebrate our long term commitment to Poland and indeed the Central and Eastern European region. We are proud of the progress that we have made here over the past 20 years. As Poland has developed so too have GE’s operations here. Today we employ over 10,000 people in Poland across a wide range of businesses. The ability and willingness to change and evolve is crucial to create and execute on a vision for the future. Today, there is an expectation on business that it should be focused on the wider good of society. We in GE believe in ‘shared value’ and we are committed to addressing some of society’s greatest challenges while at the same time driving growth, prosperity and creating sustainable employment. As Poland grows we grow. Our growth in Poland is based on partnership. Partnership with Poland and the commitment of our customers and employees. Today is very much an opportunity to celebrate and recognize that partnership. “- said Nani Beccalli, President and CEO of GE Europe, Ferdinando “Nani” Beccalli-Falco. During the event, participants agreed that transforming the energy sector in Poland, providing the energy security, energy efficiency and a suitable energy mix of the country, the development of an affordable healthcare system, the use of EU funds and attracting foreign direct investment are the challenges of today. “GE is the right partner to help make these changes continue to happen. I represent EDC, GE’s technology development PPP flagship. Just this morning, GE announced our 9FB gas turbine will power Poland’s largest gas-fired plant in the city of Stalowa Wola, making it one of most efficient power plants in Europe. Last year GE Healthcare equipped The Voxel Diagnostic Center in Krakow, Poland, with its state of the art Discovery PET/CT and MR scanners, helping make the Diagnostic Center one of the most advanced in diagnosing oncological and dementia diseases. Our Bank BPH offers several services for SMEs to be able to access EU funds and this way accelerates Poland’s fund absorption. These are just some examples of the changes that are already happening. They help Poland to be more competitive, as well as helping the country reach its environmental and modernization targets”- Magdalena Nizik added. At the end of the plenary session GE businesses’ leaders briefly summarized past and current activities and presented how their business will help Poland in the next 20 years. In the afternoon guests took part in break-out sessions dedicated to the modernization of healthcare, energy, oil & gas, power & water and lighting sectors. Speeches as well as additional materials on the GE’s 20th anniversary are available at GE for CEE blog.